Hospitals are cold. Deployments are long. A blanket may seem like a simple gift— but think how much warmth and comfort your favorite blanket provides for you when you are cold or lonely. Let's share that cozy feeling with veterans and deployed service members! 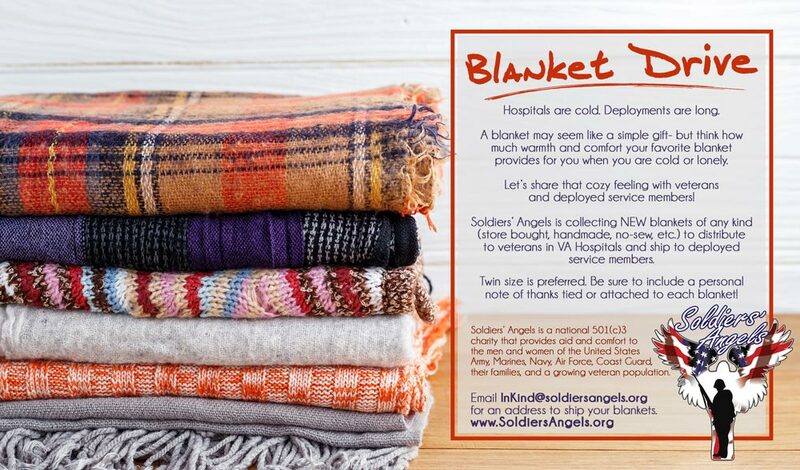 Soldiers' Angels is collecting NEW blankets of any kind (store bought, handmade, no-sew, etc.) to distribute to veterans in VA Hospitals and ship to deployed service members. Twin size is preferred. Be sure to include a personal note of thanks tied or attached to each blanket. 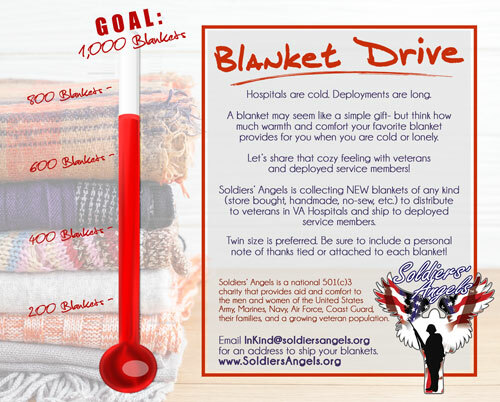 Soldiers' Angels accepts donations of blankets at any time during the year. However, the actual Blanket Drive collection dates are from May 1st, 2018 through July 31st, 2018. In order for your blankets to count toward the Blanket Drive count, your package must be postmarked no later than July 31, 2018. The 2018 Blanket Drive Goal is to collect 1,000 blankets for troops and veterans. What does a blanket mean to an injured Veteran? Watch to hear Michael Lammey's story. Need some help deciding which blanket to buy? 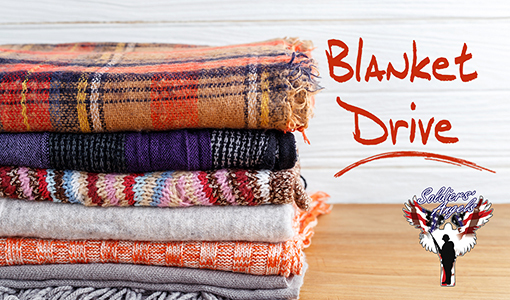 We've created an Amazon Wish List for the Blanket Drive! You can use this list as a reference for which type of blankets or you can order directly from Amazon and have the blankets shipped to our headquarters office in San Antonio, Texas. Click here to view the Blanket Drive Amazon Wish List. Not an Amazon user? No worries, you can find similar blankets just about anywhere in stores or online. Just find the blanket(s) you want to send, pack them up and ship them to a Soldiers' Angels representative. Please send an email to InKind@soldiersangels.org to receive an address where you can ship your blankets. Many websites will allow you to include a Gift Receipt and an Optional Gift Message. If the website your using allows this, please fill out the Optional Gift Message to include your name (or company name), address, phone number, and email address. If the website your using does not allow you to include a Gift Receipt or Optional Gift Message, please email your order confirmation/receipt to inventory@SoldiersAngels.org. Please be sure that email includes your name, address, phone number, and email address. Please note: You are responsible for the cost of shipping the blankets to us. In order for your blankets to count toward the Blanket Drive count, your package must be postmarked no later than July 31, 2018. Interested in starting a blanket collection drive at your business, school, church, group, etc.? That's great! Scroll down to find some graphics options that you can save to your computer and print as a flyer. Use a cardboard box or bin for collection and tape the flyer to your collection box! Please be sure to check with your office, school, church or group regarding any regulations they may have on hosting a collection drive. The flyers below are also great to share with your friends via email or social media! We will also be posting regularly on the Soldiers' Angels Facebook page and all of our social channels with information and images you can share across your own social channels! Speaking of Facebook, we would LOVE to see photos of your collections! From one blanket to a blanket-making event, we love to see the images of our collections in action! If you're not into social networks, you can also email us photos here. To receive a shipping address for your blankets, please email InKind@soldiersangels.org. If you would like to receive a tax receipt for your donation, please include a piece of paper in each box that includes the name and information of the person (or company representative) the tax receipt should be addressed to. We will need their name (and company name, if applicable), address, phone number, and email address. Please note: You are responsible for the cost of shipping the blanket(s) to us. In order for your blankets to count toward the Blanket Drive count, your package must be postmarked no later than July 31, 2018. More questions? Please scroll down to view our FAQ Section. Want to create a blanket? No-Sew blankets are easy and fun to create and our troops and veterans love them! The goal for the 2018 Blanket Drive is to collect 1,000 blankets. 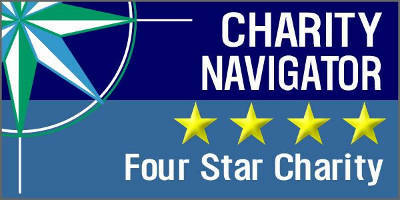 Be sure to check back often to see where our collection thermometer is at! UPDATE July 26: Only 251 more blankets needed to reach our goal! We have received 749 blankets... will we reach 1,000 by July 31??? To use the below images for your collection efforts, right click the image and save to your computer. You can then print it as a flyer or add it to your own flyer. 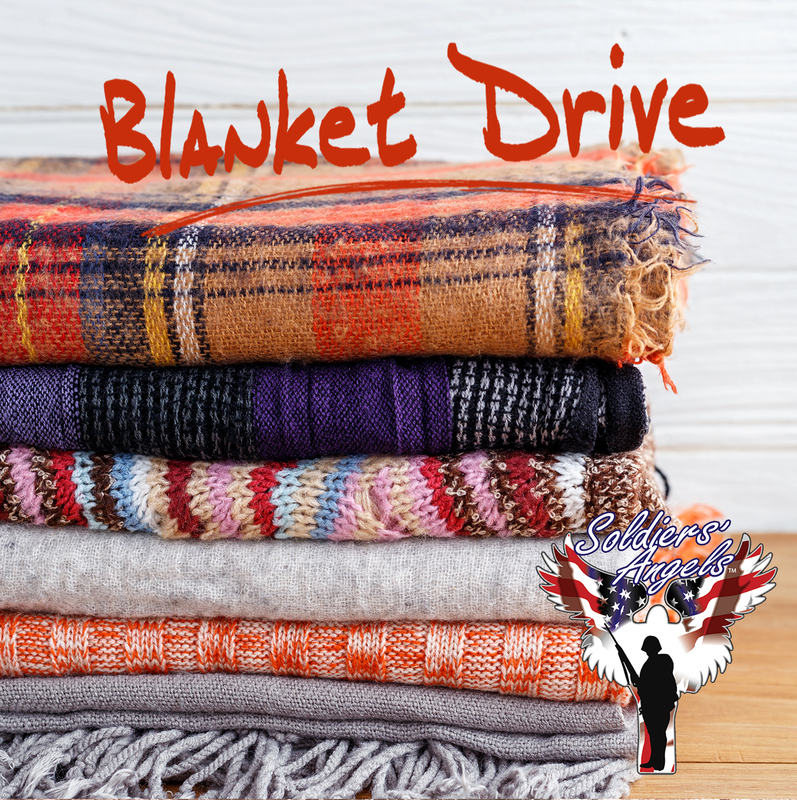 Q: How many blankets can I collect and send to the Soldiers' Angels Blanket Drive? A: As many as you want! We have had donations ranging from 1 blanket to huge blanket-making events that generated hundreds of blankets at one time. Just keep in mind, you will need to cover the cost of shipping the blankets. Email InKind@soldiersangels.org for a shipping address. We will do our best to connect you with one of our representatives that is closest to your location to help keep shipping costs down, but there is no guarantee how close that representative will be to your location. Q: I am hosting a collection at my office and want to have the collection running for as long as possible. What is the latest date I can send the blankets to be counted toward the goal? A: Our collection dates are from May 1 through July 31, 2018. 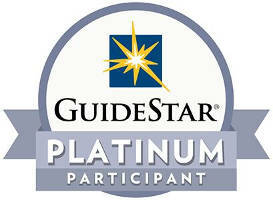 This means that we will count any blankets received within those dates toward the 1,000 Blanket goal. As long as your package of blankets is postmarked no later than July 31, 2018, your donation will count toward the blanket goal. July 31 is a Tuesday, so you could easily host your collection until lunch on July 31st and drop off at the post office on your lunch break! Q: I live near your office in San Antonio. Can I deliver the blankets to your office when we finish our collection? Q: I know someone who works at a major blanket manufacturing company-- can I ask for donations from that company? Q: Where do the blankets go? A: When you email InKind@soldiersangels.org to receive an address to ship your blankets, you will be given an address of where you can ship your blankets. Some blankets will be shipped to our VA Representatives across the country, in which case they will be personally delivered to a veteran patient at a VA facility in that location. Some blankets will be shipped to headquarters in San Antonio, Texas. Blankets from headquarters will be used for local VA facilities, but some will also be shipped to deployed service members around the world. Q: Do they need to be store bought blankets? A: Nope! We will take new blankets purchased from a store and we will also take handmade blankets of any kind— quilted, sewn, crocheted, knitted, no-sew, etc. The only blankets we will not accept are used blankets. Q: Do I need to include anything else with my shipment of blankets? A: It is not necessary. Last year we had some lovely thank you cards that came in with blankets. We will do our best to include any cards or photos with the blanket they are sent with, but there is no guarantee. 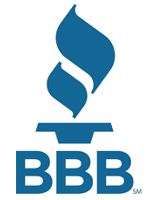 If you do include anything like a card, note, or photo it must be in an unsealed envelope. Q: What size blankets should I buy? A: We prefer twin size blankets. Twin size is the standard size that would work on an individual hospital bed and it is also a smaller size that would be easier to ship to deployed. A: Any color! As you see on our Amazon Wish List, we managed to find a lot of patriotic and military-ish styles, but they do not have to be. You can send solid colors or a fun pattern. As long as the pattern is not offensive, it will be used. Q: I am sending you blankets from Amazon or another online store. How do I get a tax receipt? Many websites will allow you to include a Gift Receipt and an Optional Gift Message. If the website your using allows this, please fill out the Optional Gift Message to include your name, address, phone number, and email address. Q: I am sending you a large collection of blankets that we collected at my office. How do I get a tax receipt? A: If you would like to receive a tax receipt for you collected donation, please include a piece of paper in each box that is shipped to Soldiers' Angels. The paper needs to include the name and information of the person (or company representative) the tax receipt should be addressed to. We will need their name (and company name, if applicable), address, phone number, and email address. Q: Can I make a monetary donation towards the purchase of socks? A: Absolutely! If you are donating online, please write "blankets" in the comments field. If you are sending in a check, please write "blankets" on the memo line. And if you call to make a donation, be sure to mention it to whomever you speak to on the phone.